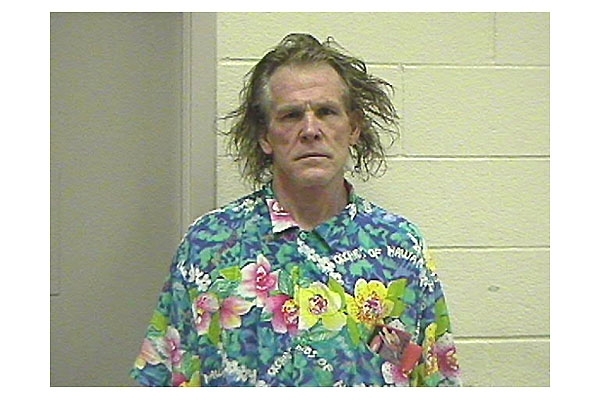 Actor Nick Nolte was arrested by the California Highway Patrol on September 11, 2002 and charged with driving under the influence. Submitted by ltsump on Sun, 2011-06-05 19:20. Submitted by Jerk_Cat on Fri, 2011-03-18 14:40. I'd arrest him just for wearing that shirt out in public. Submitted by M_In_Fl on Sun, 2011-01-30 11:02. I'll bet he keeps a photo of this around his house to remind him never to go back there. Submitted by GrammaB on Fri, 2010-12-03 01:05. One of our local TV stations uses celebrity photos with various hairdo's for their weather. When we are expecting heavy wind, this pix of Nolte is what they use for bad hair day. Submitted by Shelly Shores on Tue, 2010-08-31 04:43. His hair is as scrambled as his brain! Submitted by CherokeeSwede on Sun, 2010-08-29 13:49. Submitted by nicknolte44 on Tue, 2010-07-27 08:18. Submitted by mookie on Mon, 2010-09-20 14:04.